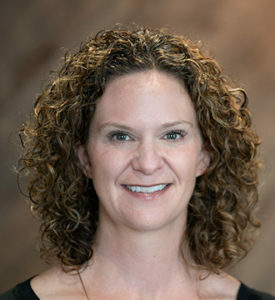 Dr. Amy Scepaniak is originally from Lisbon, North Dakota and when she married her husband from Westport they decided on Aberdeen as the place to raise their family. 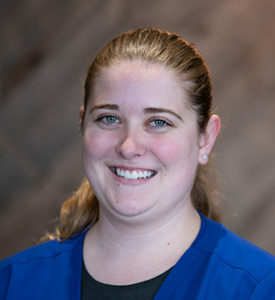 Amy has always been a “people” person and enjoys the opportunity to work closely with each of her patients. For her, there’s nothing better than helping people love their smile whether it’s through a simple procedures like whitening or more in depth procedures like crowns and bridges. 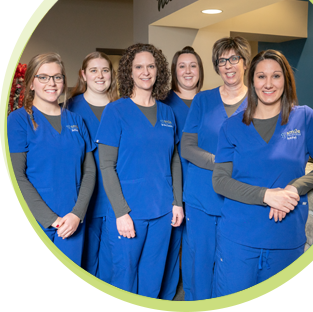 Before she opened her dental practice in Aberdeen, Amy developed some impressive skills as a welder at the Bobcat plant in Gwinner, North Dakota. The job paid for college and may come in handy someday. Her spare time is spent with her family at her children’s events and sports. Amy and her family also enjoy the outdoors with activities like golfing, biking and walking. Family, faith, friends (and chocolate) are all very important to Amy and her life wouldn’t be complete without them. Erin has a passion for travel and when she’s not taking a weekend trip to the Black Hills or Minnesota, she’s planning her next trip by reading about other cultures and parts of the world. For her, the world is too big to stay in one place. Apparently a motto her parents shared as she lived in 6 houses in 4 towns before she turned 16. Originally from the Pierre/Ft. Pierre area, Erin’s high school experience in a nursing home led her to the medical field and her current role. As a patient you’ll know she loves her job because she strives to give everyone the best experience possible in the dental chair. 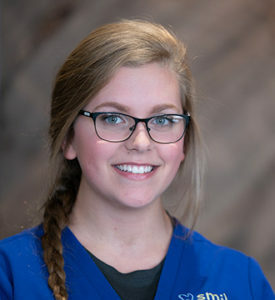 Amber followed in her mother’s footsteps of becoming a Dental Assistant. Her favorite clients are those who haven’t seen a dentist in several years because she’s able to help them achieve a healthier mouth, all while making the experience more comfortable for them. When she’s not at work, she enjoys family time with her two boys and golfing with her husband. She also likes to stamp and create greeting cards. Ironically, one thing she could never give up is eating sweets! Growing up, Brittani always liked going to the dentist. Now, she strives to provide that same positive experience to others. She interned with us in high school and now excels in helping patients find confidence in a beautiful smile. In her free time, you’ll find her at the race track with her friends and family or spending time with her pets at home. Rachel will be the one to greet you as you enter the office and she can answer all your insurance questions. Originally from Albany, Minnesota, Rachel moved when her South Dakotan husband took a job in Aberdeen. Rachel enjoys the opportunity to learn in her role and has become a great resource for patients with insurance questions. 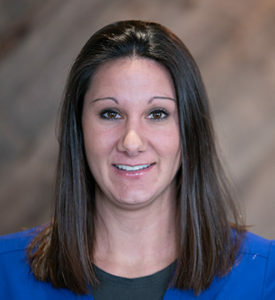 Outside of work, Rachel spends time participating in sports or running. She also enjoys boating and fishing; she is from Minnesota. 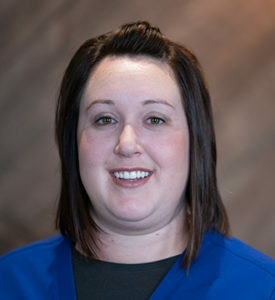 The next time you stop in for an appointment, be sure to ask Rachel about her pet raccoon she had as a kid. 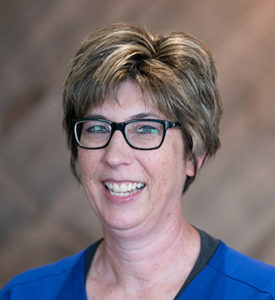 Linda started her career as a Dental Assistant and has enjoyed connecting with patients on a personal level. It is her mission to help patients get the most out of their visit. Whether it’s simply calming their nerves or helping them maximize their insurance benefits for a beautiful smile and improved oral health. Linda grew up on a farm in Hoven, South Dakota and she’s no stranger to hard work. As a kid she spent her summers in the field and working with the animals. Today you will still find her outside working on her yard or inside scrapbooking.